Today’s Topic: What’s your numero-uno reason for writing? I write because I love it. I really, really do. I think you HAVE to love writing to make an honest go at a career in it. All of the challenges, all of the nos, all of the endless hours and sleepless nights and blank pages with their blinking, taunting cursors. All of the aggravation and doubts and deleted words… Writing is hard. If you don’t genuinely love it, you’ll throw in the towel the moment the going gets too tough. But, even though I do really and truly love writing, I don’t think that’s numero-uno reason I do it. Simply, I write because I can’t NOT write. I write for the same reasons many people go to church. Writing grounds me, centers me, calms me. It drains my frustration, is an outlet for bottled up emotion, and it allows me imagine fantastical possibilities. Writing lets me create and discover new people, new places. It gives me something to focus on when life becomes disorderly. Writing gives me a tiny fraction of control over what is essentially a wildly disobedient world. Also, writing can be such fun! What about you? What’s the number one reason YOU write? Four?! Color me impressed! And yes, after all this time (trying) to write, it would feel so wrong to suddenly quit. Writing gives me a tiny fraction of control over what is essentially a wildly disobedient world. DISCONTROL… I like it. I say you’ve invented a new word today, Aleeza. Congratulations! I love that quote, Lynn! Lord Byron is far more eloquent than I’ll ever be! Love your graphic at the end- well said! This is a really great answer 🙂 It’s nice being able to control what happens in your stories because none of us is lucky enough to have that same ability in our real lives (to a certain extent). 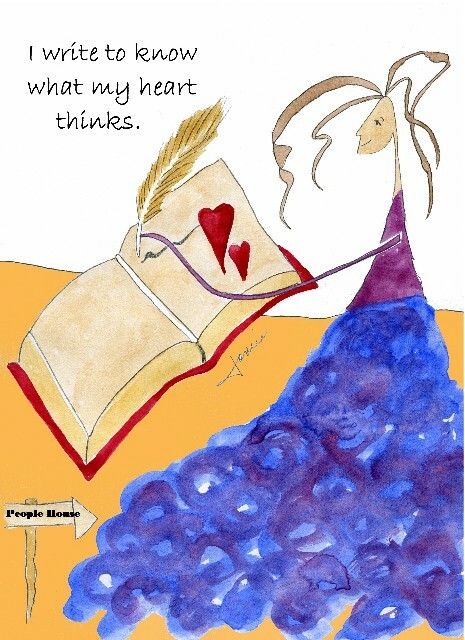 I also like “I write to know what my heart thinks” over the little picture. Isn’t that graphic cute? I kind of love it. Thanks, Jaime! Thanks, Alicia… I loved your take on this RTW as well! Also, you’re so right that if you don’t love it, why bother with all the rejection and hours spent tinkering with a story to get it right? Yep. It takes a serious amount of love and dedication to endure the tough moments and continue to plug away. I always try to keep the fact that it’ll all be worth it in the end in mind. Thanks, Tracey! And who wouldn’t want to do something they love, that brings them such joy? Good response. Great post! I completely agree–whenever I’m upset or frustrated, I go write. And I honestly don’t think someone could or would deal with all the rejection and hours and hours of work if they didn’t really love it. Exactly! If I didn’t truly love the process of writing and how it makes me feel, I definitely would have quit after the FIRST rejection. It’s too hard to be told no repeatedly if you’re not passionate about what you’re doing. Thanks, Meredith! That’s just it: I HAVE to do it. Writing makes me a happier, more balanced person. I can’t imagine ever giving it up. Soul bloggers… love it! Honestly, every time I see you’ve posted something new, I get so excited to read it because I know I’ll totally agree, which means it’ll be genius. Ha! Awesome post. I love how you brought up the meditative aspects of writing. It can be so cathartic to write a scene and draw upon your own related emotions, whether the emotions are positive or negative. Writing really is fun! I feel like I get hung up on the struggles a lot too, but if writing didn’t bring me massive amounts of joy, I probably wouldn’t do it. And you’re right, it really is cathartic to dump everything you’re feeling (good or bad) onto the page. I agree…there’s no way you can do this seriously without loving it with all of your being. I don’t think my reasons are nearly as spiritual. But it is a different call. 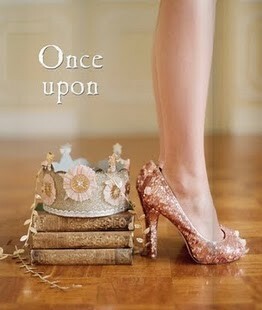 I write to get the stories and voices out of my head. I write to be able to function and not have people wonder what is wrong with me (they may do this anyway). “I write because I can’t NOT write.” This is it for me too! It makes me. It is part of who I am and I’m not me if I don’t write. In fact, if I don’t write, I become some crazed version of my self, strung out on too many characters and plot lines and potential dialog exchanges swimming around in my head. Yes, I love to write. But I love it because without it, I’m not full.